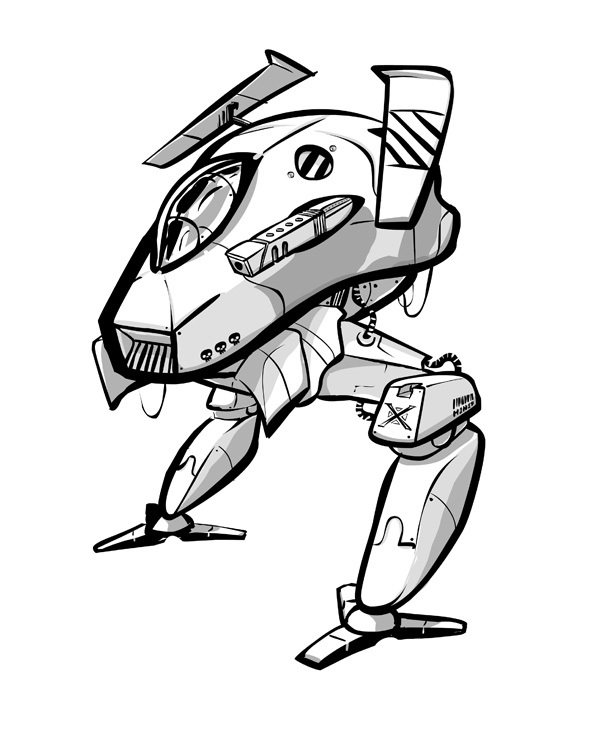 Concept for a small scout mech, funsies. 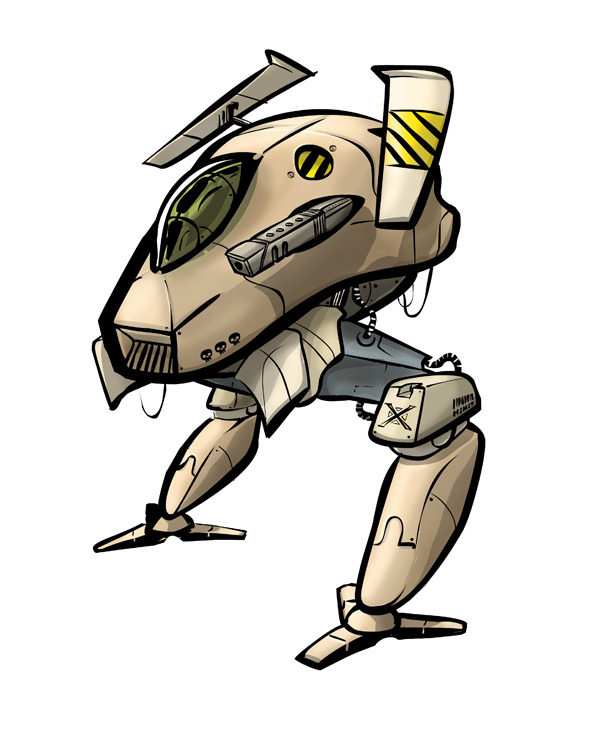 I just bought a Wacom Graphire (only small, 4″x5″) and it’s improved my workflow as well as removed a lot of frustration in colouring. The pressure sensitivity is really fun. I called it the ‘Fennec Fox’ because that was what I was trying to base the shape of the cockpit on – not much success there, I think ‘Coyote’ is a more appropriate title.